While the title of this review may be mixing the mythology of two very different pop-culture entities, the purpose is to highlight just how finite everything is in this world. Just as a series of Game of Thrones came to a conclusion last week, we bid farewell (supposedly) to the Rocksteady Batman: Arkham games that have kept us enthralled with the caped-crusader’s antics over the past six years. The plot is, as always, extremely tightly written with a great overarching narrative and plenty of sub-narratives that trail off in various directions depending on how you play the game. This time it’s the Scarecrow’s turn to launch an assault on Gotham City – you know him, the guy with the bag on his head? Yeah he’s not to be scoffed at any more, he’s got a plan to unite all of Bruce Wayne’s greatest foes in an audacious bid to rid the world of Bats once and for all. All along the way featuring cameos from your favourite baddies – such as the Penguin, Riddler, Catwoman, Robin, Two-Face (great to have Troy Baker back), Harley Quinn (great to have Tara Strong back) and there may or may not be a well-documented guest appearance from Mark Hamill. 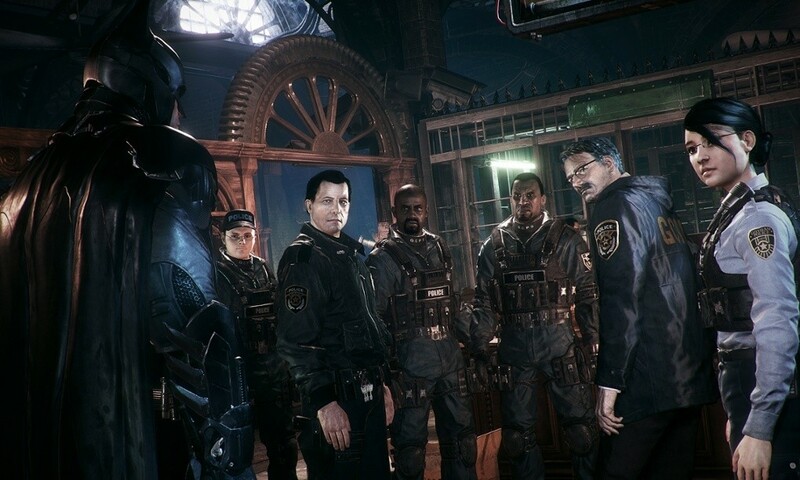 The brevity of the cast is epic and they’re utilized extremely well in Arkham Knight, although in a game of this magnitude it always feels like your favourite isn’t featured quite enough. I can’t deny – there’s a relentlessly oppressive feel to Arkham Knight from beginning to end. It’s darker than any of the other titles in the series; it juggles intense themes of failure, madness and (most hauntingly of all) the acceptance of that as a harrowing fate. I predict it will resonate with its core audience extremely well; we all love a darker take on fairytale-like mythology, however this one is definitely not for young gamers. The game proudly boasts having a 12-hour storyline, however fans of the franchise will find themselves taking a little longer to complete this one so long as they stop to occasionally fool around and bask in the spectacular visuals. 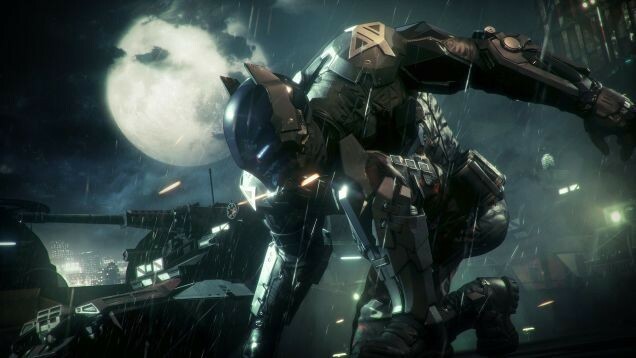 Like its predecessors, Arkham Knight expands upon the sandbox structure of 2011’s Arkham City and hardened veterans to the series will find traversing the various districts an absolute breeze. The world is fleshed out, teeming with bits to find, cases to solve and Riddler trophies to collect, if that’s what floats your boat. You can run, leap, glide and (most intriguingly) drive around the city – from the seedy back alleys right up to tallest, most death defying heights of Gotham’s skyscrapers. Yes Arkham Knight can’t help but smugly tout its newest plaything, The Batmobile, right from the off. A friend and I both agreed around a convenient water cooler this afternoon, there’s just too much shoehorning of that vehicle into the game – so much so it begins to kill Rocksteady’s fantastic atmosphere. I’m not exactly knocking it being there, its fun to blaze through Gotham’s streets and crush everything in your path. It’s fun to use remotely, taking out thugs with the element of surprise – then summoning it to make a quick exit from a sticky situation. All of those things are cool ideas that I can imagine one talented member of the Rocksteady team pitched in a brainstorm a few years ago. Sadly it’s overused to hell and by the time you’ve upgraded your beast of a vehicle to the point where you’ve stopped using it as a car and now use it as a missile launcher – the game becomes a farce. The imagery reminded me of the original PlayStation Ghost in the Shell title, as the Batmobile spreads itself out wide to reveal its huge walloping canon. I laughed as the game seemed to forget completely why it’s important to its fans; as I blew my enemies to kingdom come I kept finding the concept of my missiles being “non-fatal” a tad too unbelievable. Occasionally it’ll pump you up, you’ll enter into a Michael Bay-esque super slow-motion moment where rain is lashing down and everything around you is exploding – then it’ll return to normality and you’ll find yourself being bored and frustrated by repetitive gameplay. I think it was included in the game to break things up a little, to keep the old content from getting stale; sadly it’s executed heavy-handedly. Graphically the game is superb; you can probably just tell from some of these screenshots that you’ll have endless joy exploring the beautifully crafted world Rocksteady have put forth. It’s an extremely polished grade-A title, with credit owed to a wonderful voice-acting cast who bring all the animation to life. Plots are fun to pursue, detective work is as engrossing as it’s always been and the wonderful combat mechanics make roughing up thugs an absolute delight. Sometimes you can’t tear yourself away from the game – it keeps you hanging on with nerve-jogging orchestral swoops of audio or new burning Bat-flames in the sky. The interface is well handled here too; everything is designed from the ground up to keep you immersed in its storyline. Rather than have percentage marks guiding your completion through the game – your mission wheel allows you to select quests in a more organic way, with Alfred guiding you through each sub plot. This helps to contextualize where you are in the game, think of Alfred and Lucius Fox like more interesting versions of Peter Dinklage from Destiny. 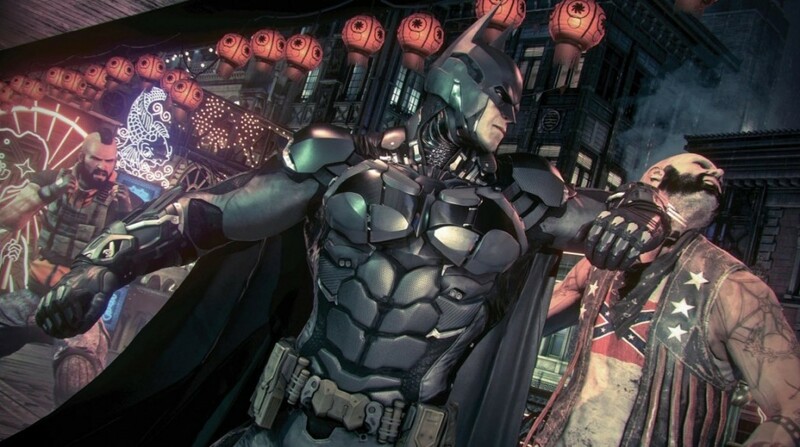 Overall, Batman: Arkham Knight is an absolute romp – on consoles at least. There are blemishes on its report card in the form of a poor PC launch and a terrible use of the Batmobile mechanic, although aside from that I find it hard to fault the game in any way. It looks great, performs well and has enough content to comfortably fill up your early summer months. For its sheer glossy polish, great narrative and wonderful gameplay – Arkham Knight is a game for everyone’s game shelves. It’s not just one of the best Batman games ever made; it’s perhaps the best next-gen game available. Farewell Bats, it has well and truly been a blast.